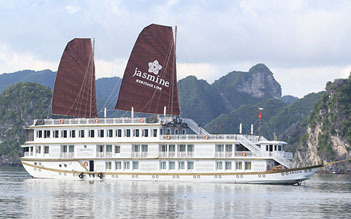 Explore it with Jasmine Cruise tour for 2 days 1 night. 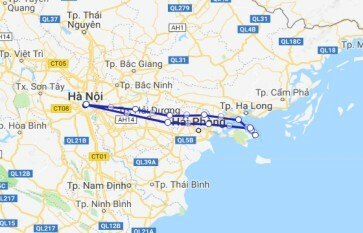 Joining this tour, you enjoy exciting activities (cave discovering - rowing boat - swimming - cooking - Tai Chi) and interesting itinerary (T...	see more	Explore it with Jasmine Cruise tour for 2 days 1 night. 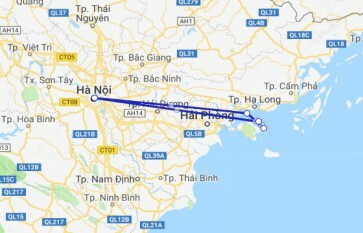 Joining this tour, you enjoy exciting activities (cave discovering - rowing boat - swimming - cooking - Tai Chi) and interesting itinerary (Tien Ong Cave - Cua Van). 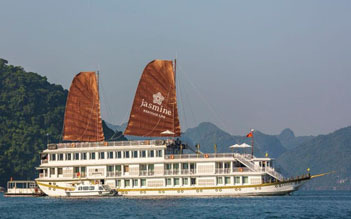 Jasmine’s interiors as well as the exterior, are covered in polished wood, lending Jasmine the stately air of an Indochina-era cruising boat. Coming to the cruise, you will have a beautiful experience to convene in the formal dining room, enjoy casual barbecues on the terrace and marvel at the bay’s moonlit beauty on the airy and windy sundeck. After getting busy with learning Tai Chi, kayaking, and visiting local fishing villages, tourists can enjoy various traditional massage treatments in the spa on the cruise. Having a wonderful time in a luxury cruise in Halong is such a great experience that all tourists should do during Halong Bay trip.